Fred. Olsen Cruise Lines has opened up bookings for its latest 2017/18 itineraries. Its fleet of four smaller, intimate ships – Balmoral, Braemar, Boudicca and Black Watch – will be visiting 220 destinations in 70 countries around the globe. Their ships will sail from a total of ten regional British departure ports: Southampton, Dover, Harwich, Tilbury, Falmouth, Liverpool, Newcastle, Rosyth (for Edinburgh), Greenock (for Glasgow) and Belfast. Fred. Olsen Cruise Lines will be reconfirming its commitment to the port of Newcastle by operating a record 13 departures between May and September 2017 aboard its 1,350-guest flagship Balmoral. Boudicca will be sailing on 10 itineraries from the Port of Liverpool. A total of 12 departures from Scotland are planned, with three from Greenock and nine from Rosyth. Black Watch and Balmoral will sail on ‘Grand Voyages’ in January 2018, visiting 46 ports across 35 countries between them. Black Watch will sail on a 108-night ‘Wonders of the World’ cruise, while Balmoral will be cruising to South America on a 46-night ‘Rio Carnival and River Plate’ journey. Nine maiden calls for the cruise line are scheduled at: Lipari, Italy; Heligoland, Germany; Amalfi, Italy; Lajes das Flores, Azores; Southwold, England; Ghent, Belgium; Olbia, on the island of Sardinia, Italy; Sorrento, Italy; and Pula, Croatia. Fred. 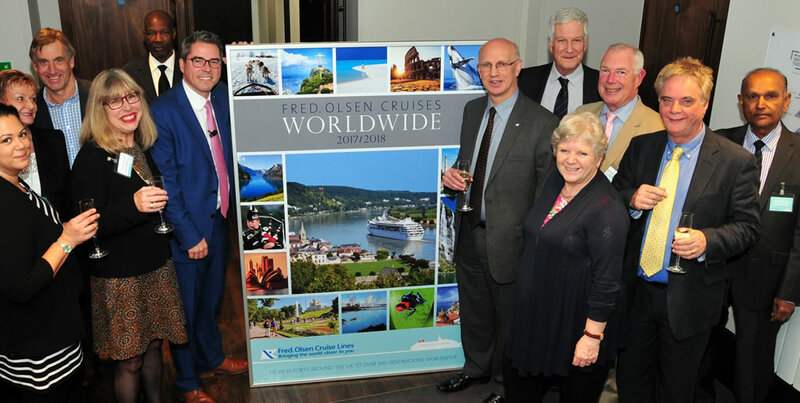 Olsen Cruise Lines will be making the most of its smaller-sized ships by offering more river, fjords and scenic cruising, taking guests along narrow sea passages and waterways, and past awe-inspiring scenery. The ships will transit 118 scenic sea passages and waterways, totalling almost 1,000 hours of scenic cruising.